Wendy L. Bowcher is a professor in the School of Foreign Languages at Sun Yat-sen University, China. She has worked as a consultant forensic linguist in Australia, and for several years as Associate Professor of Linguistics at Tokyo Gakugei University, Japan. She has taught in secondary schools, worked as a multicultural education consultant, and taught linguistics and applied linguistics at both undergraduate and graduate level. She has also taught on teacher training courses, most notably as adjunct lecturer for Columbia University Teachers College, MA TESOL program (Tokyo campus). She received her PhD in linguistics from the University of Liverpool, England. Her research interests include multimodal discourse analysis of Japanese and English texts, context in Systemic Functional Linguistic theory, language education, and English intonation. She was instrumental in the formation of the Japan Association of Systemic Functional Linguistics (JASFL). She is editor of Multimodal Texts from Around the World: Cultural and Linguistic Insights (2012) and co-editor, with Terry D. Royce, of New Directions in the Analysis of Multimodal Discourse (2007). 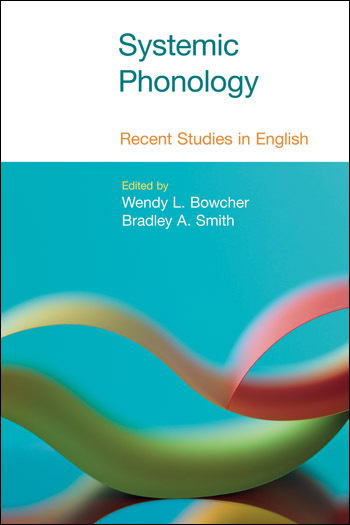 This is the first volume in more than twenty years dedicated solely to Systemic Phonology. It presents twelve original contributions by leading scholars and contains both theoretical and applied studies. The collection includes analyses of a wide range of texts including news readings, literary classics, classroom discourse, and sung texts. 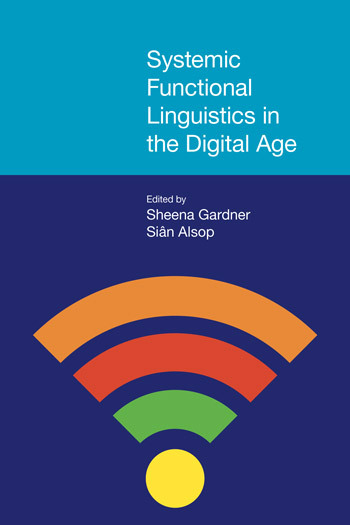 Amongst the theoretical contributions is a chapter which outlines the generative model of intonation and punctuation of the Cardiff School of Systemic Functional Linguistics. The volume closes with an interactive chapter where readers can listen to, read, and obtain a first-hand guided experience of analysing texts using the Systemic model of intonation. Systemic Phonology: Recent Studies in English is of value to scholars and students of phonology, phonetics, music studies, semiotics, and media studies, particularly within the Systemic Functional tradition. This volume is also of interest to any researchers analysing meaning in relation to sound and music. An introduction to the book and its subject matter. Gerard O’Grady is a Senior Lecturer in Language and Communication (phonology) at the Centre for Language and Communication Research, Cardiff University. His main research interests are intonation, spoken information structure, critical discourse analysis and linear grammars. He is active in the SFL community and co-organized the European Systemic Functional Linguistics Conference and Workshop in 2009. He is also a co-founder of the LinC research network at Cardiff University with Tom Bartlett and Lise Fontaine. His recent publications include two books, A Grammar of Spoken English Discourse: The Intonation of Increments (2010) and Key Concepts in Phonetics and Phonology (2012), as well as the article ‘The unfolded imagining of Segolene Royal’ in the Journal of Pragmatics (2011). He co-edited the volumes, Systemic Functional Linguistics: Exploring Choice (Cambridge 2013) and Choice in Language: Applications in Text Analysis (Equinox 2013). There is widespread acceptance in the literature that speakers, operating in real time in pursuit of their individual communicative goals, use intonation to package their message into Given and New lexical elements. However, it is still not entirely clear what the terms Given and New refer to, nor how information structure relates to tonic and pre-tonic prominence. This chapter briefly examines the second in §1.2 before returning to the first one in §1.3. Annabelle Lukin is Senior Lecturer in Linguistics in the Centre for Language in Social Life, Macquarie University. She is interested in understanding more fully what it means to analyse text and linguistically construed social context in the terms established and developed in the work of linguists such as Halliday and Hasan. She works in particular in the areas of media and political discourse, and in literature, including literature and translation, and she has published in all these areas. She is co-editor (with Geoff Williams) of Language Development: Functional Perspectives on Species and Individuals (Continuum). She curates the ‘SFL Linguists’ site on VIMEO, and contributes to Wikipedia on topics in linguistics, especially on people and ideas from the systemic functional linguistics tradition. This Chapter is to contribute in general terms to exploring this relationship between the parameters of context and the metafunctions of language. Focusing on the textual function, in which intonation, via the systems of information distribution and information focus (Halliday and Greaves, 2008), plays a role. Shan Zhu (family name Zhu) is a senior lecturer in the School of Foreign Languages at Sun Yat-sen University, where she received her PhD. She has been a visiting scholar at Hong Kong University and in the USA at Texas A&M University and the University of Florida. Her research interests include systemic functional linguistics, systemic phonology and discourse analysis. She is particularly interested in the functions of intonation in both English and Chinese. In this chapter the onset pitch of the initial tone unit in each clause of a news commentary will be examined to check whether it is also used by the newsreader to indicate a change of topic. The news commentary under discussion in this chapter, ‘China’s economic boom’, was downloaded from the website of BBC World Service at www.bbc.co.uk/worldservice/learningenglish/ newsenglish/witn/archive_2005.shtml. The news commentary was published at 12:45 GMT on 18 February 2005. Kazuyoshi Iwamoto is an Associate Professor in the Faculty of Foreign Studies at Kyorin University in Tokyo, Japan. After receiving his bachelor’s degree in English language from Kyorin University, he went to Central Michigan University to study TESOL for his Master’s degree. There, while completing his degree, he became interested in the relationship between grammar and phonology, and he later obtained his PhD from York University, Canada. His research interests include the relationship between systemic phonology, thematic development in English texts, paragraphing from a systemic functional perspective, and human–bonobo discourse. To understand what a spoken paragraph is, this chapter first reviews previous descriptions proposed for both written and spoken paragraphs, and interprets them from the perspective of systemic functional linguistics (SFL). It then presents multi-stratal analyses of monologic text segments to illustrate variations in the organization of spoken paragraphs occurring in two very different tenor contexts. Martin Davies retired from the University of Stirling in 1996. He began his career as a secondary teacher at Canford School in Dorset, moving from there to The King’s School Canterbury, then on to Loughborough College of Education, before taking up a lecturer position at the University of Stirling in 1976. Davies has long been interested in the connection between phonology and reading aloud and the educational insights that can be gained from understanding this connection. He has published widely in the area of prosodic choice in reading aloud, literacy and intonation, and theme, information and cohesion. He is co-editor with Louise Ravelli of Advances in Systemic Linguistics (1992). His major research interests include intonation implicit in writing, cohesion and information structure, standard English and alienation in education, and applications of systemic functional linguistics in educational contexts. Martin Davies discusses how and why sentences, sometimes, do not make sense. Michael Cummings is Professor emeritus and Senior Scholar in the English Department of York University, Toronto. His research interests include Systemic Functional linguistic approaches to discourse and lexico-grammar in Old English and modern English. This chapter takes its departure from written English, specifically, texts of written English prose designed to be read as written English which are nevertheless being recited aloud. It poses the problem, how does a reciter of such a written English prose text decide, just on the basis of the text, how to distribute and realize the focus or foci of information in each clause? Instead of moving from phonology as phenomenon to the lexicogrammar of the clause, we are trying to move in the opposite direction, from the lexicogrammar of the written clause to a hypothetical realization of intonation that is appropriate to its text. In Handel’s Messiah the -ed ending of the simple past verb form, and the past participle as a separate syllable; are sung. This paper is an attempt to see the extent of this phenomenon in this music and to speculate on why he should have used what was, for him, an old-fashioned form. The Messiah was written in 1741 and first performed in Dublin in the following year. David Caldwell is an Assistant Professor at the National Institute of Education, Singapore. His major research interests include systemic functional linguistics, discourse analysis, systemic phonology and social semiotics. Within discourse analysis, David has applied appraisal theory to a range of language contexts, including post-match interviews with footballers, medical consultations with hospital patients suffering depression and popular rap music. Following in the tradition of social semiotics, he has also examined the meaning-making potential of sound, with a specific focus on the semiotics of performance voices in popular music. This chapter presents a comparative, semiotic analysis of two distinct vocal performances: rapping and singing. While scholars have investigated the differences between speech and singing in a performance context (e.g. Titze, 1995; Callaghan and McDonald, 2007), no research to date has compared the rap voice with the sung voice. Centre for Language and Communication Research, Cardiff University. Paul Tench was formerly Senior Lecturer in the Centre for Language and Communication Research at Cardiff University, Wales. He retired in 2007 after more than 40 years in full-time academic life and is now active as a Research Associate at Cardiff. His main teaching responsibilities were in phonetics, the phonology of English, applied linguistics in language teaching and introductions to Systemic-Functional Linguistics. His research focussed mainly on the description of British English intonation, which resulted in The Roles of Intonation in English Discourse (1990), the Intonation Systems of English (1996) and Transcribing the Sound of English (2011) and many journal articles. His first major publication was Pronunciation Skills (1981). Since retirement he has devoted time to exploring system networks at the level of word phonology, and to working with minority language groups in devising orthographies for hitherto unwritten languages in Nigeria and Zambia. His publications can be viewed in http://www.paultenchdocs.co.uk/. There can be no lexicogrammar without phonology. Phonology specifies the distinctive ‘shapes’ of all the discrete lexicogrammatical units that participate in the systems of a given language. Phonology ‘moulds’ phonetic substance into all the distinctive forms of words, phrases/groups, clauses, sentences and texts (discourse structure and genres) of each language. Stefano Fasciani is a PhD candidate at the National University of Singapore in the field of Music Technology at the Arts and Creativity Lab, and a former Research Associate in the Multimodal Analysis Lab. He graduated from the Università degli Studi di Roma ‘Tor Vergata’ (Italy) with an MSc in Electronic Engineering in 2006, and for several years joined the advanced digital signal processing group of Atmel in Rome, developing multicore embedded systems and applications for audio digital signal processing. He is also an electronic musician, releasing productions on a regular basis over several years with independent labels. In this chapter we discuss the study of phonology (of speech, and other semiotic resources with sound as expression plane, such as music) within the environments of contemporary software resources, including a software platform currently under development. These software tools enable researchers and teachers to readily access the sound signal and create a variety of annotations of such data, and to store, search, process and display the data and their analyses. Such resources thus make possible the correlation, in both the database and interface, of phonetic, phonological, lexicogrammatical, semantic and contextual analyses within different metafunctions, at different ranks and so on. The present chapter is not a review of software applications as such, but rather a discussion of some of the affordances of and issues in the development and use of digital technologies (for a review of software resources relevant to systemic scholars see O’Donnell and Bateman, 2005). Robin Fawcett is Emeritus Professor in Linguistics and Director of the Computational Linguistics Unit, Centre for Language and Communication Research, Cardiff University. His research interests include general linguistics, systemic functional linguistics in a socio-cognitive framework, the computer modelling of language in both generation and understanding, and English and other languages for both of these purposes and for the analysis of texts. His most recent publications include Meaning and Form: Systemic Functional Interpretations (co-edited with M. Berry, C. Butler and G. Huang, 1996). He is also the series editor for Functional Linguistics and Discussions in Functional Approaches to Language, both published by Equinox. The goal of this chapter is to describe a partly new model of intonation and punctuation, as these are used in a comprehensive, explicit and fully integrated model of how the overall ‘grammar’ of English is used to generate text. Glendon College, York University, Toronto. William Southworth Greaves is Emeritus Professor in the Graduate Programme in English in the Department of English at Glendon College, York University, Toronto, Canada. His research interests include language education, language and primates, and English intonation. He has authored and edited 15 books and manuscripts, including the co-edited volume (with James Benson) Functional Dimensions of Ape-Human Discourse (Equinox) and the co-authored volume (with M. A. K. Halliday) Intonation in the Grammar of English (Equinox). He has played an active role in the International Systemic Functional Linguistics Association, and in 1982 co-convened in Canada the 9th International Systemic Congress, the first held outside of the UK. He regularly delivers seminars and workshops on English intonation within the systemic functional framework to international audiences. This chapter defines the semogenic (meaning-making) space between the body as ears and tongue, which handle sound, and as hands and feet, which carry out social activities such as recreational dancing or, more technically, performing a medical procedure on a patient. It introduces Praat software for dealing with sound, discusses the particular Praat TextGrids used in literary/linguistic analysis, and then explains rhythm of discourse, as these are used to examine the sound and wording of very different literary performances: readings of the limerick ‘Wall Street Irene’, and of John Milton’s sonnet ‘On his blindness’.